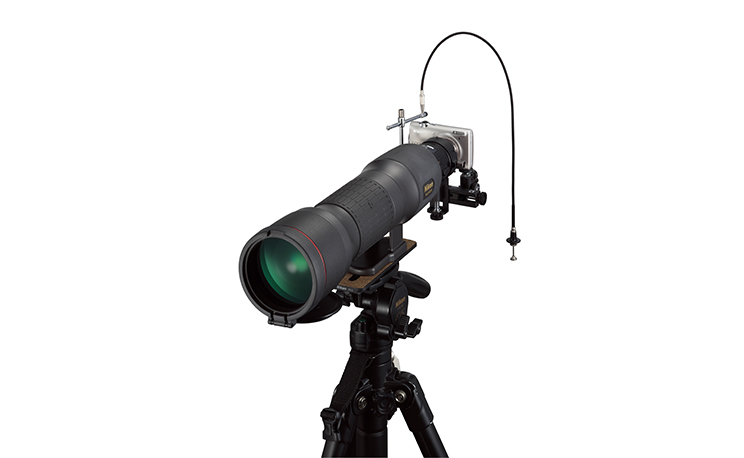 Universal digital camera bracket FSB-UC connects a wide variety of Nikon COOLPIX* compact digital cameras to Nikon Fieldscopes and Fieldmicroscope EZ-Micro. *See below for compatible models. *1The combination of the COOLPIX P6000, FSB-UC and EZ-Micro is not recommended in terms of the weight balance. *2Cannot be used with EDG Fieldscope eyepiece FEP-25 LER because of the vignetting. *3Only with EDG Fieldscope eyepieces, except FEP-25LER. 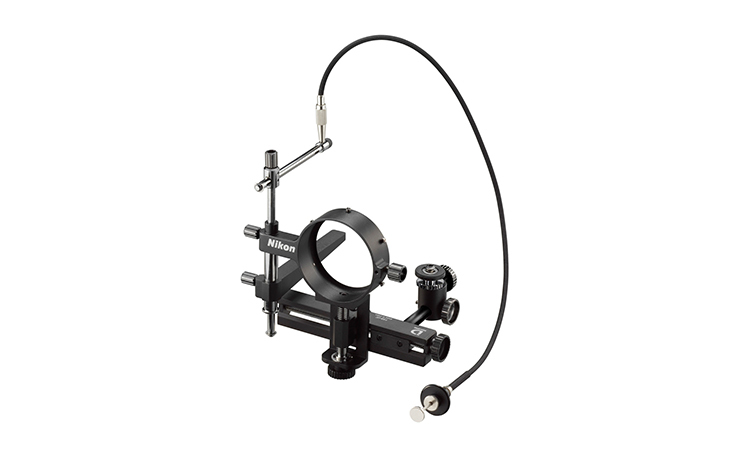 FEP-25LER and DS eyepieces are not recommended because of the vignetting. *4Only with EDG Fieldscope eyepieces. Attaching a DS eyepiece is not recommended because of the vignetting. *1Cannot be used with PROSTAFF 5 Fieldscope eyepiece SEP-20-60 because of the vignetting. *2Cannot be used with PROSTAFF 5 Fieldscope eyepiece SEP-25 because of the vignetting. *3Cannot be used with PROSTAFF 5 Fieldscope eyepiece SEP-38W because of the vignetting. ●Depending on the type of camera, its position, or zoom setting, vignetting may occur. If vignetting does occur, carefully adjust the bracket position. ●When a digital camera lens is used at wide setting, take care that the camera lens does not hit the eyepiece lens when zooming to telephoto setting. ●Because it may be difficult to focus when using the camera's AF function with super-telephoto shooting, we recommend that you take a series of pictures of the same subject. ●Although the theoretical F-number obtained using the calculation above exceeds the camera's F-number, the actual F-number will not.